Funny, flirty, and charming, this absolutely adorable romantic comedy perfectly encompasses what the month of February is all about! 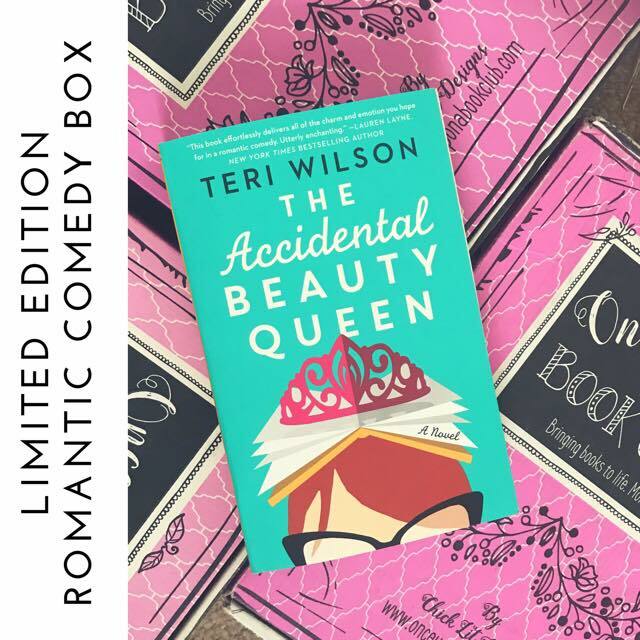 Including a copy of Teri Wilson's latest novel, "The Accidental Beauty Queen", this story follows Charlotte Gorman, an elementary school librarian and her adventure as she's thrown into the world of Beauty Pageants, high heels first! 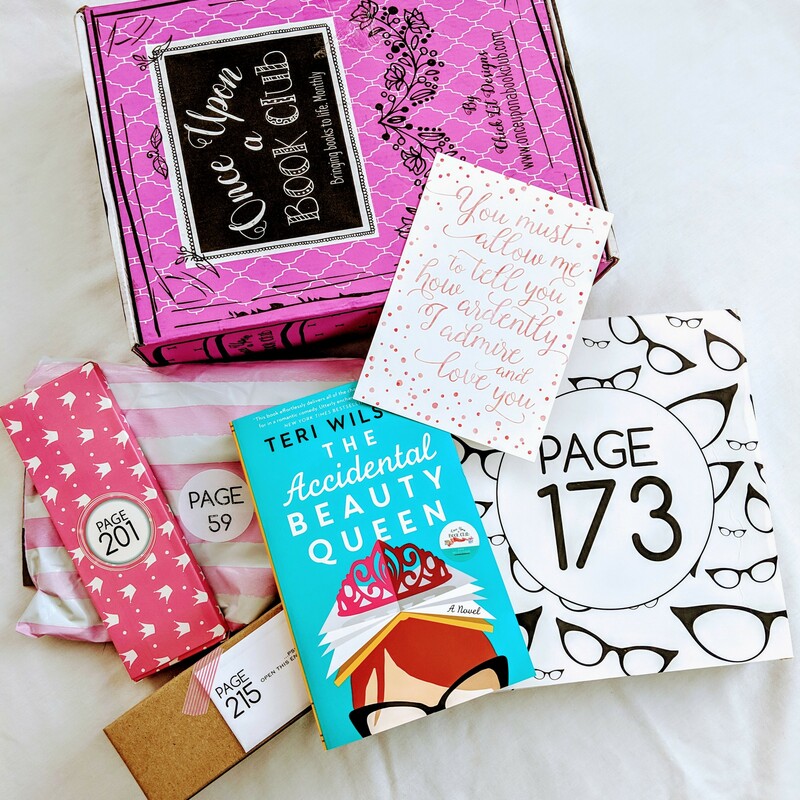 This wonderful novel is paired with four gifts that work together to bring this book to life, including our first ever wearable! Be sure to use the size chart below to select the proper fit for you! Sizes S, M, L, and XL run at $49. Sizes, 2X, 3X and 4X are $51. Boxes will be shipping beginning on February 8th! Shipping within the USA is free and should arrive by February 14th. Shipping to Canada is $8 USD, and shipping everywhere else in the world is $18 USD and will take approximately 10-12 days to arrive.